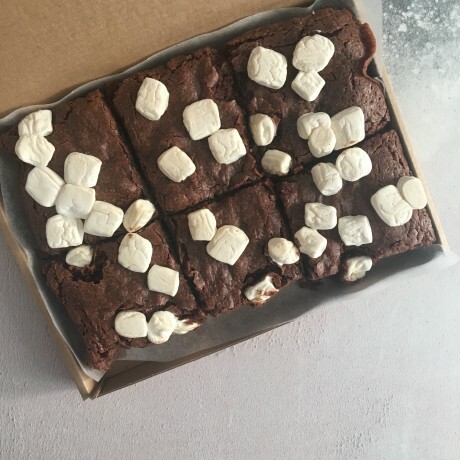 Chocolate chip brownies topped with Dandies vegan marshmallows. Perfectly crisp on the outside and chewy on the inside - a winning combination! Handmade, and baked fresh in A Kind Mama's kitchen. Suitable for allergy sufferers as they are free from egg & dairy. Box of 6, each individually wrapped. Shelf life: consume within 5 days of delivery. Suitable for home freezing. 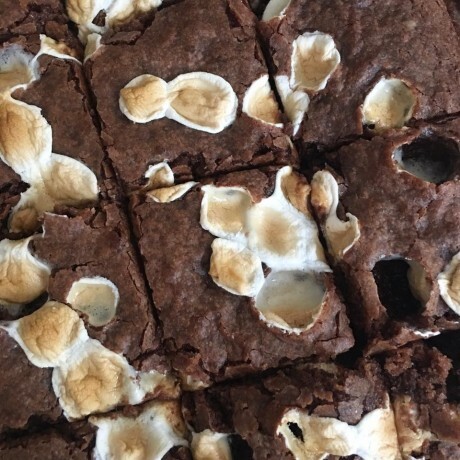 Flour, sugar, baking powder, salt, cocoa powder, dark chocolate chips, vegetable oil, soy milk, Dandies vegan marshmallows. Contains wheat, soya. Made in a kitchen where nuts are present.